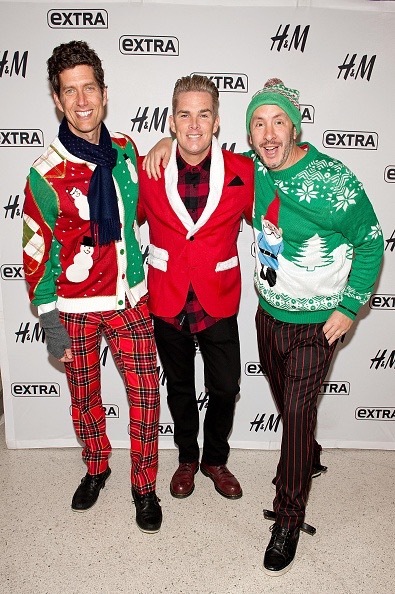 THE HOLIDAY SUPERGROUP OF HITMAKERS! 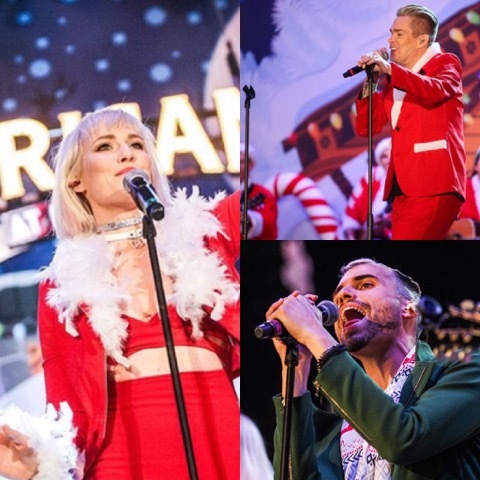 Band of Merrymakers is a rotating-cast holiday supergroup created by hit songwriters Sam Hollander and Kevin Griffin in 2014. The group was established with the philanthropic goal of raising awareness and donations for non-profit organizations and charities. 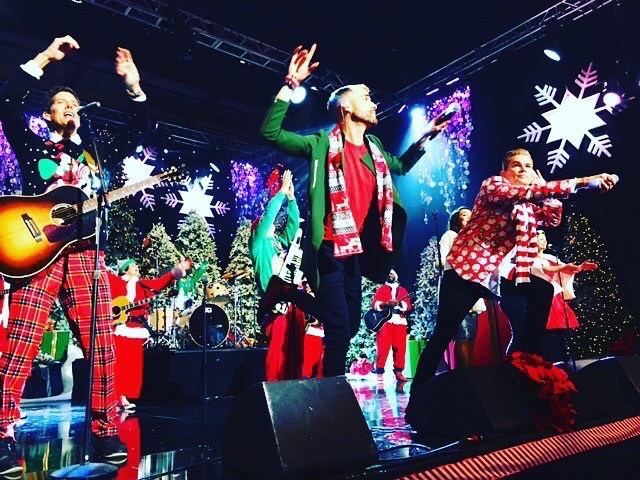 The group's debut album, Welcome to Our Christmas Party, was released October 23, 2015, through Sony Masterworks, and featured guest appearances from Christina Perri, Mark McGrath (Sugar Ray), Alex & Sierra, Natasha Bedingfield, Michael Fitzpatrick (Fitz & The Tantrums), Tyler Glenn of Neon Trees, Charles Kelley of Lady Antebellum, Owl City, Bebe Rexha, Nick Hexum of 311, Andrew McMahon, Jason Wade (Lifehouse), David Ryan Harris, David Hodges (Evanescence), The Mowglis, Street Corner Symphony, 3OH!3, Dan Wilson (Semisonic), and Firekid. A donation will be made to MusiCares for every album and track sold. MusiCares ensures that music people have a place to turn in times of financial, medical and personal need. Band of Merrymakers - "Snow Snow Snow"
Band of Merrymakers - "Must Be Christmas"
Pick up 'Welcome To Our Christmas Party,' the debut full length from Band of Merrymakers, featuring both originals such as "Snow Snow Snow," "Must Be Christmas," and "Holiday in L.A.," as well as the group's spirited renditions of classics such as "Jingle Bells," "Joy to the World," and "Auld Lang Syne"!